Are you reluctantly saying goodbye to summer? Here’s my perception. Make a double patch of homemade pesto. 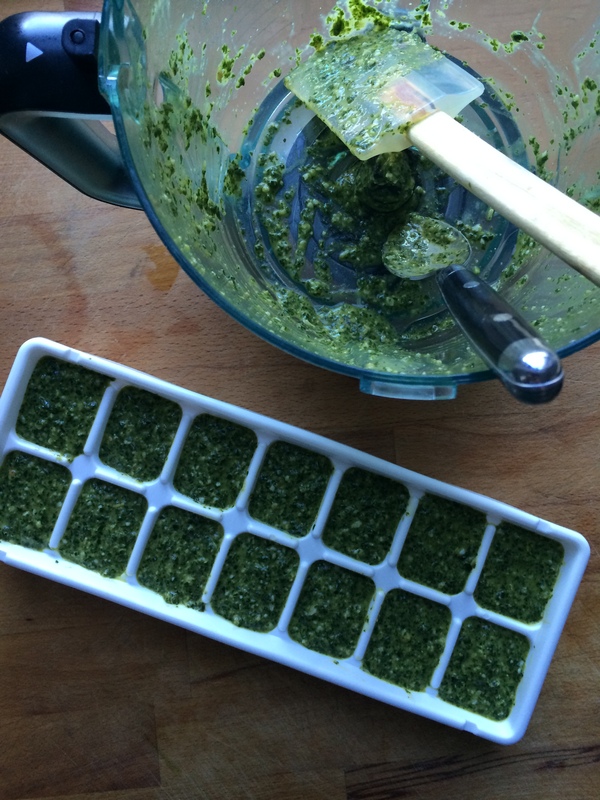 Fill an ice cube tray with pesto, about 2-3 tbsp per cube. Cover tray with plastic wrap, being sure to press the plastic wrap against the pesto so it is touching the top layer. This reduces oxidation (dark green color). 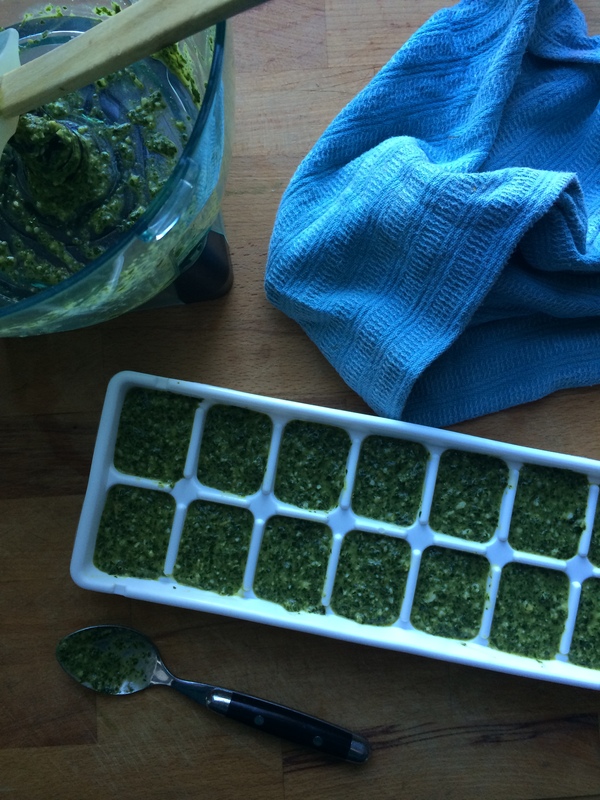 Allow pesto cubes to freeze completely, at least 2 hours or overnight. Pop pesto cubes out of the tray and store in your freezer in an airtight container for up to 6 months. Add the pesto cubes to dishes throughout the winter for a fresh pop of flavor, or simply toss with pasta for an easy weeknight meal. Preserving summer fresh ingredients helps me get through the extensively cold Midwestern winters. Eating a bowl of pasta with fresh homemade pesto in the middle of January. It’ll do good for for your soul. Note: If you are going to toss with pasta, add a small amount of starchy pasta water to your frozen pesto before adding the pasta. The salty starchy water not only helps to thaw the frozen pesto, it helps glue the pasta and sauce together. Don’t forget to top with fresh parmesan cheese!